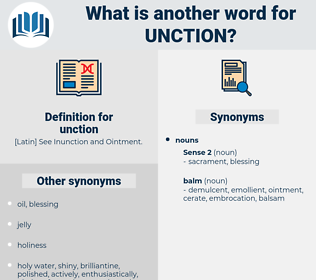 What is another word for unction? 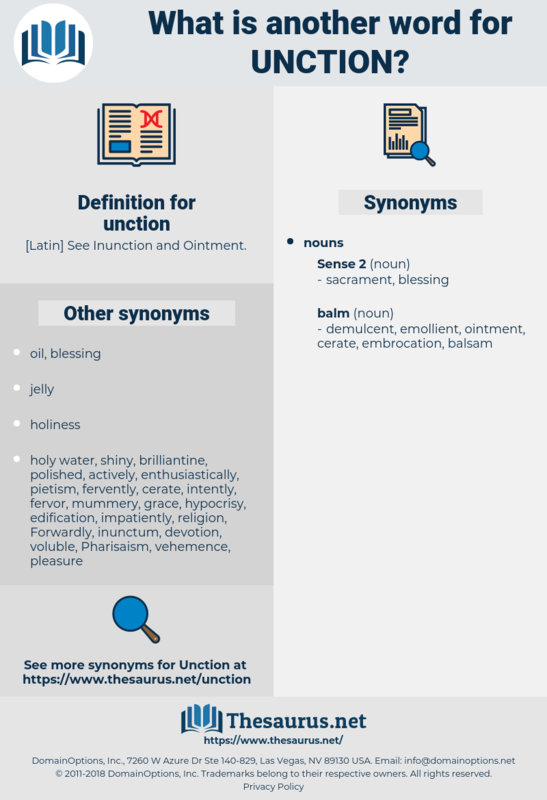 [ Latin] See Inunction and Ointment. Warming with his subject, he dilated with wonderful unction on the temptations springing from personal attractions. And the young prelate gathered himself up from his listless posture, and spoke with earnest unction.